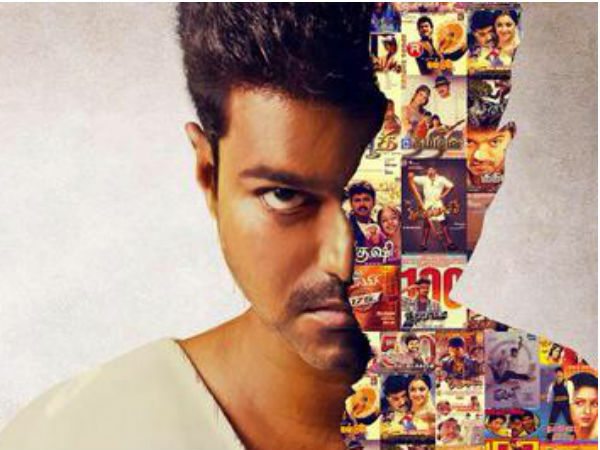 Actor Vijay completes 22 years in the Tamil film industry. His first film Nalaiya Theerpu was released on this same day 22 years ago. On entering the 23rd year, Vijay released a press statement thanking everyone who has been working with him for the past 22 years. He first thanked all the producers of his films who has trusted and invested in his films. He thanked BV Combines, Mr. B.Vimal personally, also thanked Mr.S.Soundara Pandian of Sri Maasani Amman movies, Mr.M.Bhaskar and Mr.B.Balaji Prabhu of Oscar movies national, Ms.N.Sreedevi of Shri Shrira Arts (p) ltd, Mr.MSV Murali of Shree Vijayalakshmi movieland, Mr.R.B.Choudary of Super good films, Mr.Emmar of Kumar movies, Mr.Manikam Narayanan of 7th channel communications, Pavithran of ARS International, Mr.M.G.Shekar and Mr.S.Santhanam of MG pictures, Mr.Mani Rathnam of Madras Talkies, Mr.Sangili Murugan of Murugan cine arts, Mr.A.M.Rathnam, Mr.KRG, Mr.Mohan Natrajan, Mr.Kalaipuli Dhanu, Mr.Arun Pandian of Ayngaran International, Karunamoorthy, Chandra Prakash Jain. He also thanked his directors Vikraman, Selva Bharathy, Faazil, K.S.Ravikumar, Shankar, A.R.Murugadoss and also the technicians and members of the 24 Crafts Union for giving him support all these years. He thanked the media for being supportive to him and for commenting and criticizing at the right time and for helping him to reach out to the audience. He thanked his parents and his family for being the backbone of both his personal and professional life. Lastly, he thanked his fans to have been with him for all these years and has mentioned that thanks would not be enough for all the love they have showered on him all these years. In his thanksgiving letter, the actor stated: "Being a person who doesn't forget the past, I remember and cherish every single day of these 22 years I have spent in cinema. Cinema has given me everything in life. I would like to take this opportunity to convey my heartfelt thanks to people who have helped me in these past 22 years." The actor mentioned all the producers and the directors with whom he has worked in the last 22 years and thanked them for helping him in the industry. He also thanked his co-stars, technicians, members of the 24 crafts union, friends from all forms of media, his parents and family members for their support. "Lastly, I am not really sure how to thank my fans, who have been there with me all these years. They have stood with me through all my ups and downs. They have been with me during both my success and my failures. I don't think the word thanks would be enough for all the love they have showered on me all these years and given me everything I have with me today. Like I always say, they will remain in my heart forever," Vijay concluded. With the hashtag #VIJAY_22YearsOfGloriousJourney, the Ilayathalapathy fans kept the actor's name trending for over three days. The Box office fight between #Rajini and #Vijay !!! 2014 - #Kaththi managed to break DAY1 opening of Endhiran after 4 years and broke endhiran record in few places.. Create a new.record for only TAMIL releasing movies..